Today I'm sharing a video on how I store my ink pads and ink supplies. If you are interested, I've listed many of the items I used for storage below the video on this blog post. I've been using the Stamp N' Storage units for my Stampin' Up! inks, because they fit in the Ikea system. They work great, but the ones I have don't work for smaller ink pads. I have found a way to work around that though. I show that in the video below. Stamp N' Storage does offer other ink pad storage systems as well. Organize More has some great ink storage units. I've had my original one for many years now and it's held up great. I can use it for Distress inks, Paper Trey Ink, Hero Arts and much more. I'm pretty sure at one time I had my Stampin' Up! inks in this until as well. Organize More also has different units that fit in the Ikea System. You can see those HERE. In the video you will hear me refer to myself as a lazy organizer. I really don't like taking the time when I get new products to make color swatches or repackage. If it's too much work to keep up-to-date I won't keep up with it. Am I the only one? I love to dig right in and play. I'm hoping this color chart will make me a little more willing to keep up with ink swatches. 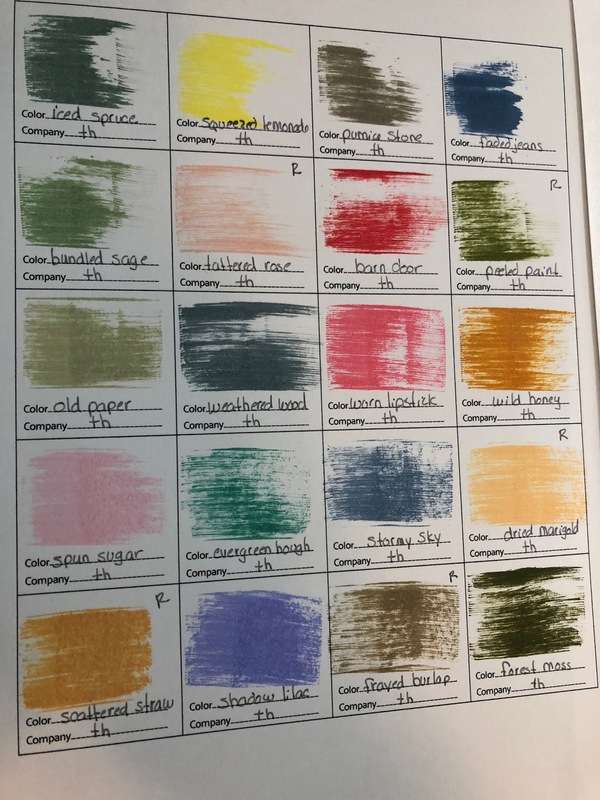 If you'd like to use my ink swatch, you can get it HERE. I hope you find it helpful. Here is a photo of what mine looks like. I hope you enjoyed the latest on my craft room organizing. Stay Tuned. Next week I have something fun planned here on my blog. Thanks Christina for the update on storing inks. 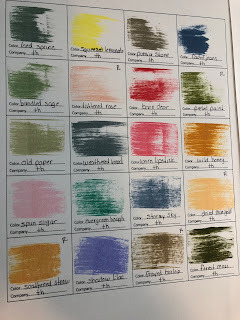 I have used your old ink swatch page for a long time and now I just printed off the new version. You always have good ideas on storage and I have taken many of those ideas and used in my craft. So glad you are back and looking forward to you posts. 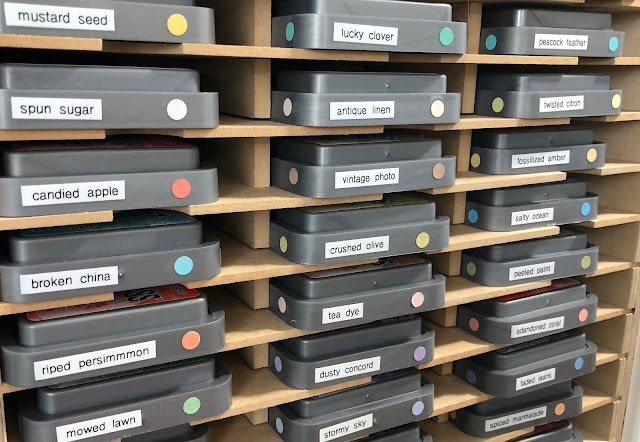 Good video Christina, I know that you said you were not too organised with your inks etc but if you could see the organised chaos in my craft room I'd say yours was great. Lovely to see you back. Thank you for this video and the other one about paper storage. Tell us when you have a chance how you store paper pads, or card stock pads, like DCWV, etc. Because those drive me nuts. I'm going to download your swatch page. What a super idea, so I don't have to run through X amount of stamp pads to find the right one.